I took a trip to the cinema on Wednesday when I was out shopping with my friend. It had been a while since I had been and recently there have been so many good films showing! We decided to watch Insurgent over Cinderella as we have both read the books and I know my mum wants to watch Cinderella so I'll most likely go with her. It has actually been a while since I read the books and my friend and I were trying to remember what happened with little success. From what I remember, the book includes many scenes with Marcus whereas Marcus plays a small role in the film. Another difference is the ending; I don't want to ruin it if you haven't seen the film so I won't share any spoilers but the ending few minutes are very different. Insurgent means a person fighting against a government and, obviously, as it is the title, this is the main basis of the film. In this city, there are 5 factions and you are divided into any one of these dependant on your personality. If I had to put myself into a category, I would choose Amity as I feel that it isn't as restrictive. The film hooked me throughout; you certainly wouldn't be bored at any point! It is mainly action but there is also some romance and adventure so it can appeal to different audiences. My favourite part of the film was when Tris and Four met up with their fellow dauntless members at Candor - it was a real sense of community! Some people have mentioned that in the film it was difficult to distinguish whether the characters were in simulation or not. However in my opinion, it was quite clear beforehand that she was going into the simulation. The film certainly isn't as confusing as Inception in that sense; I mean a dream within a dream within a dream can get quite confusing! Insurgent is a lot easier to follow. Overall, I really enjoyed watching this film and if I have the choice I would definitely watch it again. 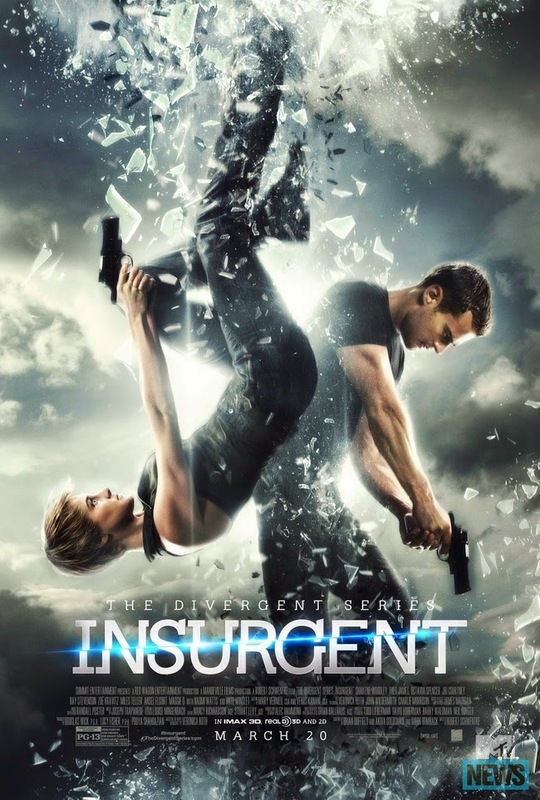 Unlike some series where the sequel isn't great compared to the first film, I found that Insurgent was equally as good! A definite recommendation from me! If you lived in the Divergent books, what faction would you choose?